Setting up Labour Rates for your team – Welcome to the NextMinute support and feedback centre. Quite often your staff are paid and charged out at different rates. 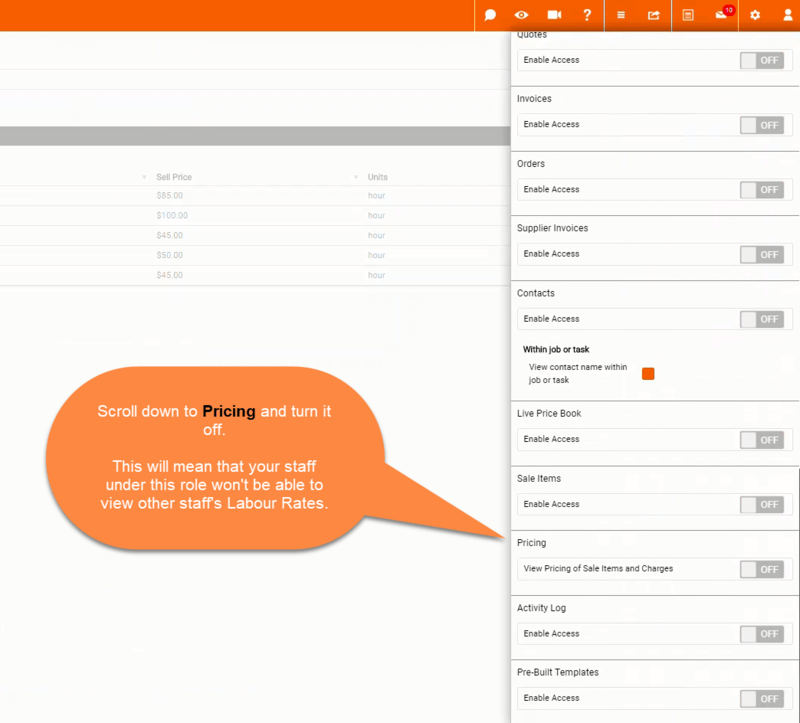 Create a labour rate for each staff member for them to select when adding time to tasks and jobs. If you don't want staff seeing each others labour rates you can turn off pricing via Role permissions. 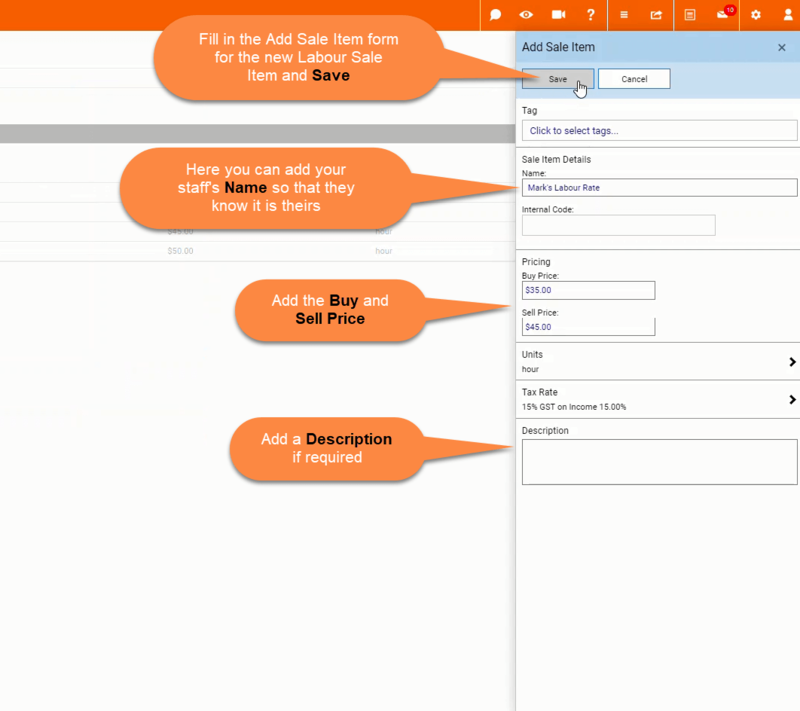 Navigate to Sale Items Labour and select Add to create a new Labour sale item for your staff members. Fill in the Sale Item add form. Use your Staff members name as the items Name so that they can easily find and select their labour rate when adding time to jobs and tasks. 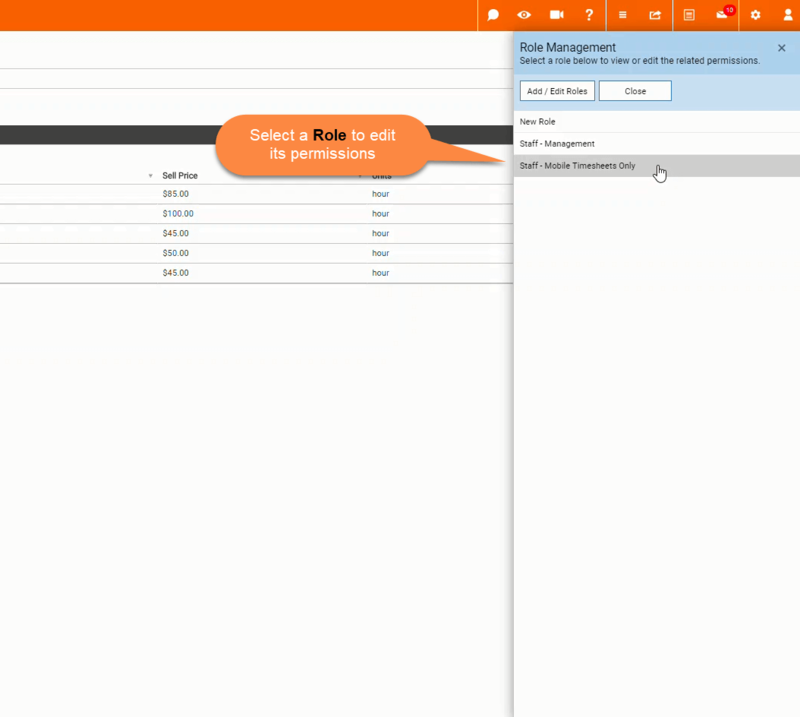 Select the Role to edit its permissions. Scroll down to Pricing, turn OFF access and Save.